I've always been envious of people with naturally ginger hair; it's such a beautiful colour. A few years ago I dyed my hair every shade of red imaginable but could never find the perfect shade; so last weekend while browsing boots when I spotted L'Oreal Feria Colour Mango Intense Copper I couldn't resist. It was the perfect shade of orange/red. I'm so glad I decided to dye my hair again, what do you think? Are you braving a new colour for winter? This such a gorgeous colour, and really suits you, I'm surprised you're not a natural redhead! I too have always been jealous of red heads! It is such a beautiful colour. And you as a red head really works, it really suits you! Enjoy being one of those pretty red heads I look on in envy! great post! you look beautiful! would you like to follow eachother? It looks really natural... what a gorgeous colour! 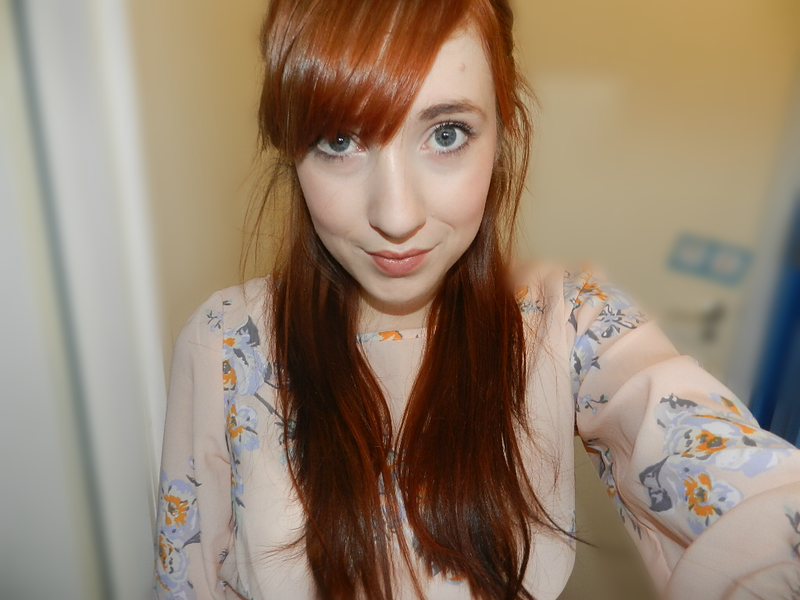 You remind me of Karen Gillan in this photo. I dyed my hair green but maybe that'll change soon, it fades so fast im fed up of buying the dye! You look so pretty and the shade suits you perfectly!